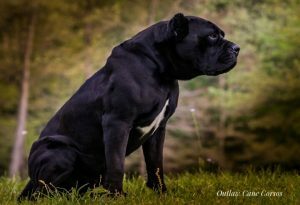 Outlaw’s Superman “Hero” is one of our primary stud dogs. He’s approximately 130 lbs. ane 29 inches at the shoulders. ICCF &AKC , Temperament Tested. Hero is producing some outstanding offspring. A Lot of which are black in color. Hero is a very muscular Cane Corso with very little body fat. He possess great athletic ability and endurance and drive. 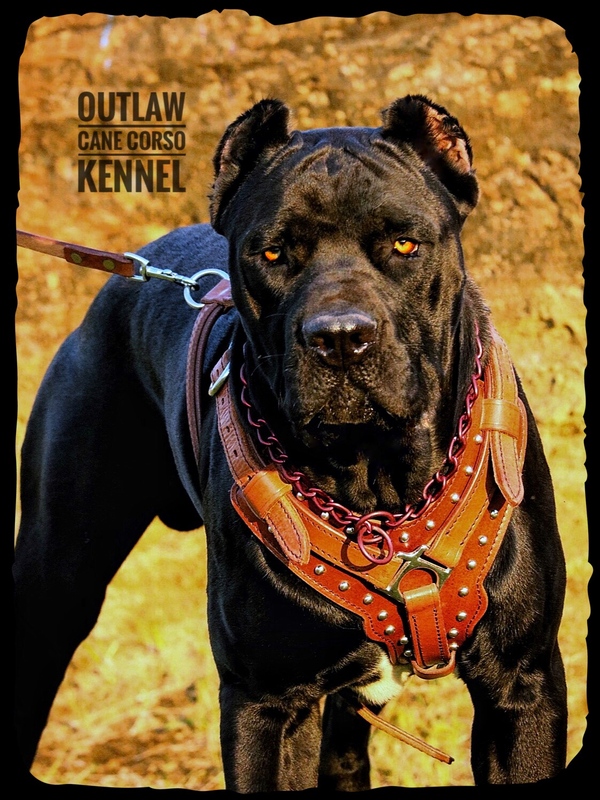 When you purchase a puppy from Outlaw Kennel you can be sure that it is a pure Traditional Italian Cane Corso. Unlike many breeders we have never mixed anything into our bloodline to change the appearance of the Cane Corso. Some breeders will do this when chasing show ring titles etc. We take great pride in only producing the Cane Corso in its truest form. 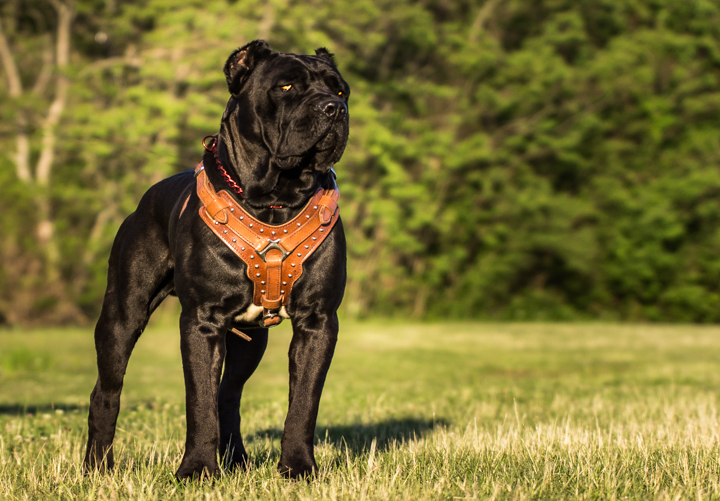 the Traditional Cane Corso is one that carries itself with a great amount of pride and confidence. We feel that the addition of any other breed ( boxer etc.) 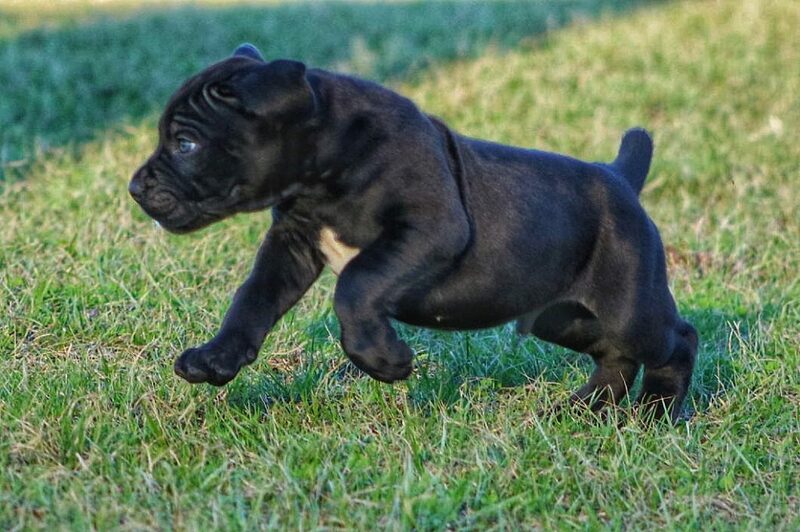 only takes away from this breed. The strong Natural Guardian yet Loyal and loving nature of the Cane Corso is one that we have never seen in any other breed. 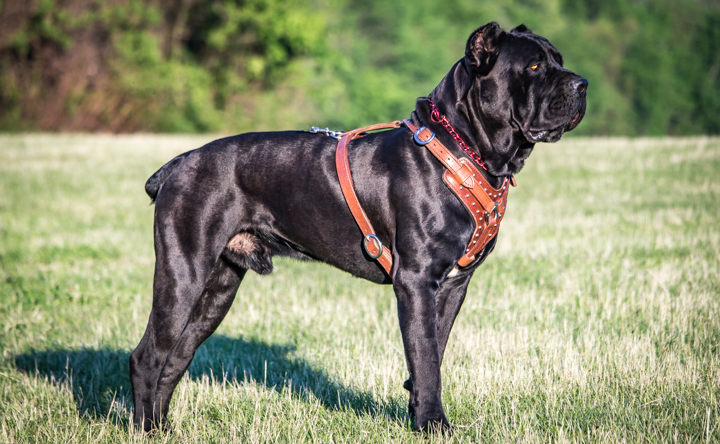 We feel that these temperament traits should always remain in the Cane Corso. 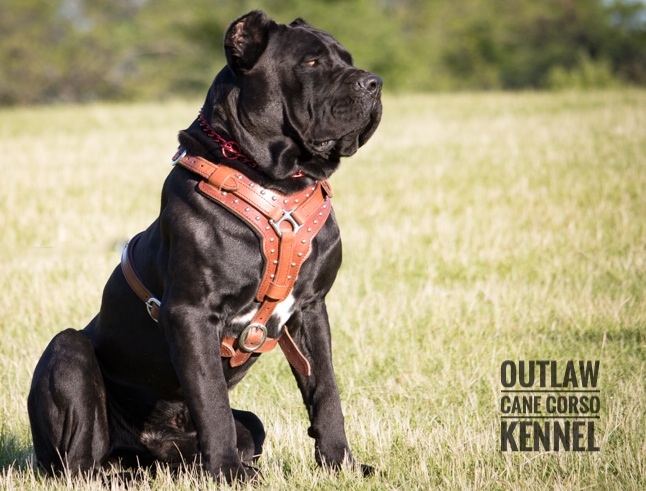 Outlaw’s Superman “Hero” is a great representation for the breed! 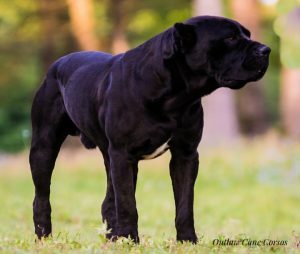 The Traditional Cane Corso was once used of the field of battle to fight alongside the Roman Soldiers in hand to hand combat. 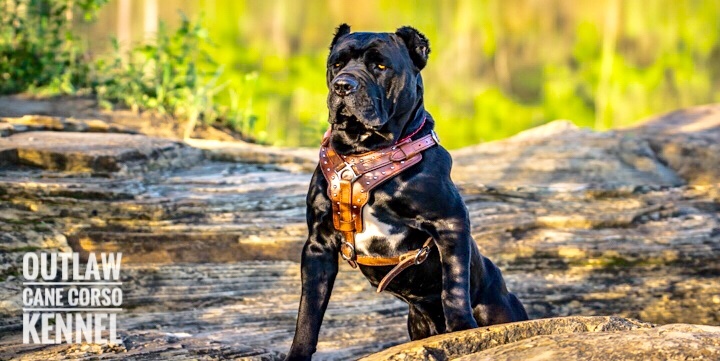 It was determined at that time that the Cane Corso must posses not only great physical strength and drive but it must also have great speed and endurance in order to fight effectively . 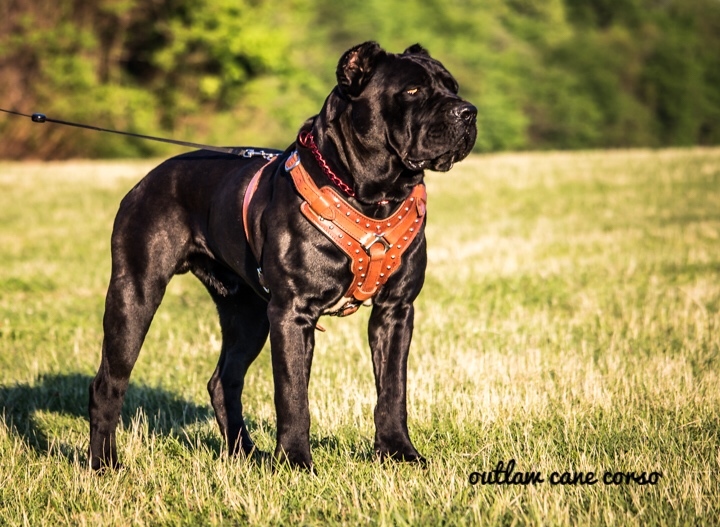 The Traditional Cane Corso is one that possess all of these attributes! Outlaw’s Superman @ only 10 mo. old.